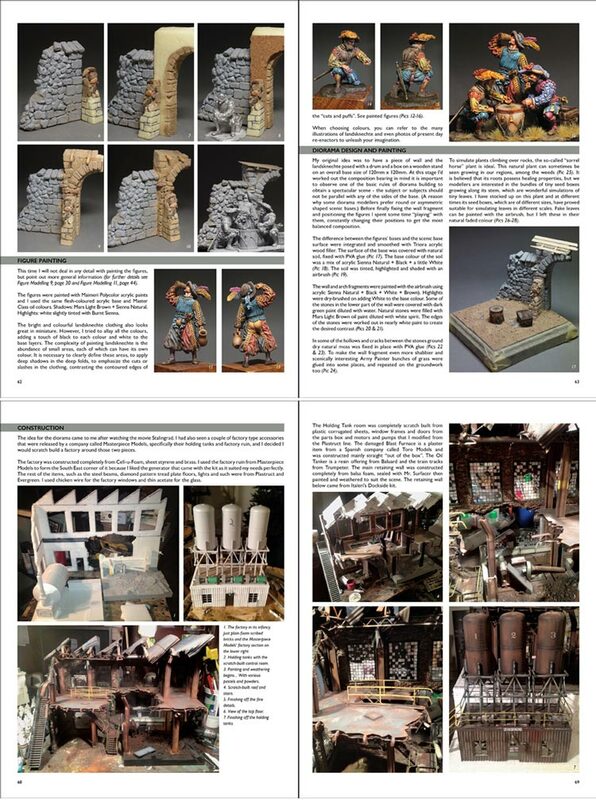 Welcome to the second of our diorama modelling books in Mr Black Publications' series of Scale Model Handbooks. 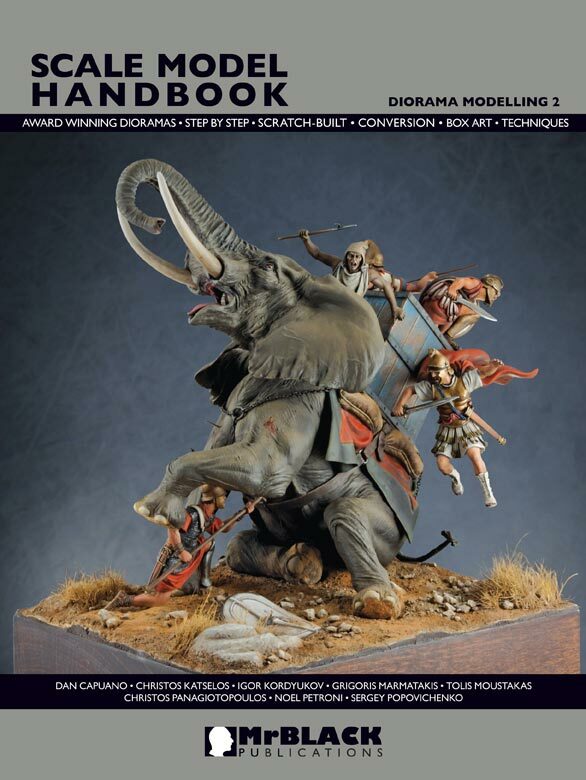 Like the first book we have an extended format to cover a great variety of military modelling themes and various types of dioramas. It's taken more that 24 months of intensive work to gather the material herein, since we wanted to cover many historical periods, such as Ancient and Roman times, the 17th century, World War Two, as well as considering the many different and popular modelling scales of 1/35 (50mm) and 1/32 (54mm) to the larger 1/24 (75mm) scale dioramas, to satisfy our readers' interests. The aim was to make this book a necessary and useful handbook for modellers everywhere. Christos presents in a most detailed way the construction and painting of the Andrea super kit, "Elephant Down! Zama, 202 BC" with more than 100 step-by-step photos. Christos' article also provided the subject for our cover! A new method of article presentation is, "History You Can Model" by Grigoris Marmatakis, using all of the Pegaso Models' vignettes and some more converted figures from other kits in the next diorama. This is a really big diorama that was inspired by the Battle of Teutoburg Forest in AD 9, and the Battle that stopped Rome, presenting all the historical data in detail by Stelios Demiras. An astonishing step-by-step sculpting feature by Igor Kordyukov, that was released as a commercial 75mm kit (IM75-17) comprising seven figures by Irbis Miniatures, and inspired by Ilya Repin's painting, "Reply of the Zaporozhian Cossacks to Sultan Mehmed IV of the Ottoman Empire", also known as the "Cossacks of Saporog are Drafting a Manifesto" and a masterpiece of Russian art. More than 150 photos are featured - 130 of them are step-by-step! "Stalingrad, A Fight To The Last" is another super diorama in 1/35 scale from the well-know master modeller Dan Capuano who used 35 figures, most of them updated and converted, with most of the scenery made from scratch! This is Dan's first article for Mr Black Publications and we hope that more of his superb works will follow. Resting at Karachev is a combined work from two master modellers in their fields� Christos Panagiotopoulos (figures) and Tolis Moustakas (Tank and scenery). A detailed articled on how to create a peaceful Second World War scene using commercial parts and a lots of imagination. 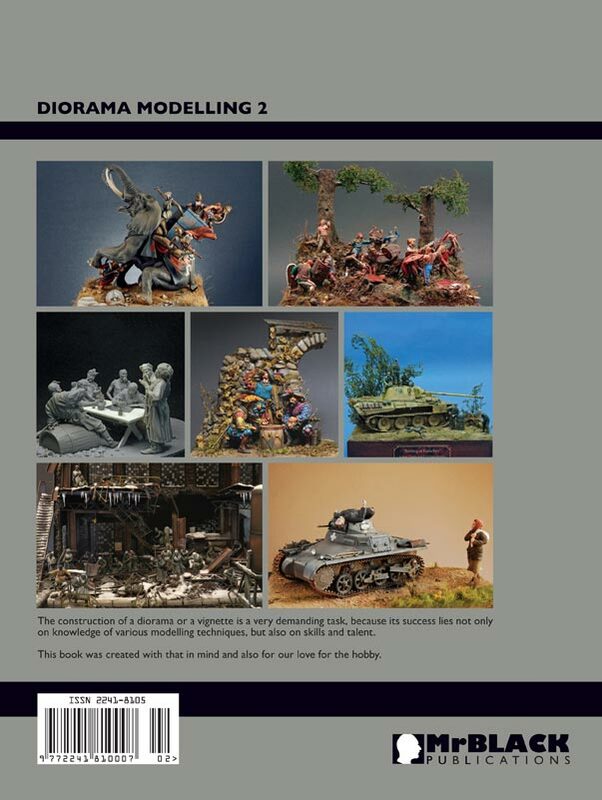 Noel Petroni's work is well known from his many contributions to English language military modelling magazines around the globe, and from his article in our first Diorama Modelling title. This time Noel has a smaller 1/35 scale military diorama, "The Grim Reality of War, Poland 1939" showing how a diorama can arouse strong emotions. Noel scratch builds the two figures therein and uses the Panzer I Ausf A from Tristar, presenting the construction and painting in 58 step-by-step photos.